As the justices of the Texas Supreme Court probed attorneys’ arguments over the fate of land next to San Antonio’s landmark Hays Street Bridge, cities across the state watched closely to see if the case would affect large swaths of public policy. During the oral arguments before the Supreme Court on Sept. 13, lawyers for the city argued it has governmental immunity protecting it from a breach of contract verdict over the land. But Amy Kastely, the lawyer for the Hays Street Bridge Restoration Group, said the city should be held to its contractual promise to give the community project all funds raised - including the land. Two iron and wood bridges, originally located elsewhere, were moved to San Antonio in 1910 and placed end-to-end across railroad tracks east of downtown. The bridge provided a gateway from the East Side black minority community until it was closed in 1982. In the 1990s, Union Pacific made plans to demolish it, but local citizens organized in an effort to save and restore the bridge. The Hays Street Bridge Restoration Group entered discussions with the City of San Antonio in 2000 with the intent of acquiring the bridge and adjoining land to create a public venue that would include parking, educational facilities and restrooms. The group and the city entered into a Memorandum of Understanding to obtain a $2.9 million federal grant, administered through the Texas Department of Transportation. The group conducted a fundraising campaign that included private cash donations and the donation of land at 803 Cherry Street from private owners. The historic bridge was restored and the group continued its efforts to raise funds for the facilities that would be constructed on the adjoining land. By its own account in court documents, the City supported the public park concept so much that in 2006, San Antonio applied for state funding to develop the donated land at 803 North Cherry Street into a park. The application was denied. But in 2012, everything went sideways when city officials, without competitive bidding or a public process, transferred the land to Alamo Beer Company. City Council approved the “sale” for $295,000 and granted Alamo Beer $295,000. "All along, this has been about a sweetheart deal. It's been about giving this land along with the money to a close friend of the former mayor," Kastely told the Supreme Court during oral arguments. The giveaway benefited Eugene Simor, a local businessman with close ties to City Hall. The parties agreed to the terms outlined in the MOU. The parties did not intend the word “funds” in the MOU to include only donations of money. The parties intended to word “funds” to include money and in-kind donations. The Cherry Street Property was subject to the terms of the MOU. The City failed to comply with the terms with respect to the property, but the Group did not. The city appealed and the case moved to the 4th Court of Appeals where the decision was reversed based on the rationale that specific performance in this situation was not a remedy because the city was entitled to government immunity. The Restoration Group appealed to the state Supreme Court, and on June 1 the court granted review. On the same day, the Supreme Court decided Wasson v. Jacksonville, a Cherokee County case where the city barred a couple that wanted to open a lakeside bed-and-breakfast business on land leased from the city. This raised an issue known as “governmental/proprietary dichotomy.” Was the city’s action a governmental function protected by its authority as an extension of the state, or was it a proprietary function akin to economic activity that would incur the same duties and liabilities incurred by private persons and corporations? When does governmental immunity apply? The Supreme Court said the City of Jacksonville committed a proprietary act and was therefore not shielded by government immunity. On the same day, the court agreed to hear the Hays Street Bridge dispute and, by implication, appeared to be interested in further exploring its own position in Warren v. Jacksonville. Kastely, the pro bono attorney for the Restoration Group, noted that in Wasson, the high court’s analysis applied to the City’s action in entering the lease agreement. 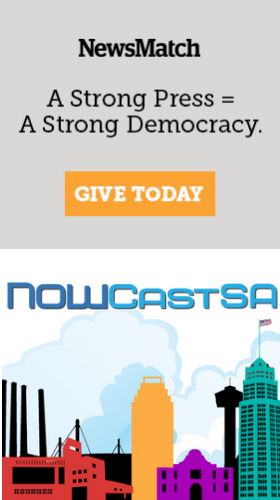 “In our case, the question would be whether, in drafting and entering the fundraising agreement with the Restoration Group … the City ‘had no choice,’ was ‘operating as an arm of the State,’ ” Kastely told NOWCastSA. On Aug. 30, the court received an amicus curiae (friend of the court) brief supporting the city from the Texas Municipal League, Texas Coalition of Cities for Utility Issues and 164 Texas cities. They argued against any encroachment on government immunity. However, Americans for Prosperity Foundation Inc., an Arlington, Virginia-based organization that advocates for a free and open society, submitted an amicus curiae in favor of the Restoration Group. The AFPF said this case “presents as clear an example as AFPF has encountered of citizens organizing and advocating for those principles at the local level and encountering in response nothing but disingenuousness, disrespect, opacity, and the stiff-arm of a government focused only on benefitting a favored backer." The AFPF said they filed a brief because while the parties are focused on the particulars of their case, “they have not addressed the hash that the City’s position would make of larger swaths of Texas public policy. The San Antonio Conservation Society also submitted a brief in support of the Restoration Group. The Conservation Society’s interest is based on its financial contribution to the project, based on representations made by the fundraisers that the bridge would be restored and a park would be created to support educational programs about the history of the bridge and surrounding community. Attorneys for the City of San Antonio, Dan Pozza of Pozza & Whyte and Michael Truesdale, argue the bridge restoration constituted “community development and urban renewal activities,” and therefore was a government function. The City argues the scope of the project was limited to the bridge rehabilitation and creation of a pedestrian and bike route. There was no provision in writing in the MOU or the TxDOT agreement for park development on the 803 Cherry Street land. Truesdale said the real estate was “held as funds” raised for the project, and the City complied with the trial court’s judgment by applying the sale of those funds to project costs. Justice Eva Guzman questioned whether the project was completed “as envisioned.” Truesdale tried to claim it was, but Guzman asked if the visitors’ center (never built) fell within the definition of a park. “The property was not held as a park,” Truesdale said. Justice Jeffrey Boyd said the city contends there was no contractual obligation to build a park, but asked whether the documents referred to the Hays Street project, which included a park. Pozza said, “Not that we know,” then added that the city’s enacting ordinance did mention freeing up lands for new development, including residential development. This language opened the door to a multifamily apartment project that is pending on land north of the bridge, opposite the land Simor used to build the brewery plant. Guzman, however, questioned how that would benefit the predominantly low-income residents of the East Side in neighborhoods near or adjacent to the bridge. The planned development is for market-rate housing and City Hall’s approval of the project -- despite twice being rejected by the city’s Historic and Design Review Commission -- has been a subject of scorn among residents who see it as a preference for gentrification over community development. Pozza said the City wants the Supreme Court to find that the City complied with the trial judge’s judgment declaration. Therefore, the case is moot. Boyd said the issue at question is whether government immunity still applies. Pozza agreed the judgment applies, but added that the Restoration Group doesn’t like it and wants to expand upon it based on some understanding that wasn’t stipulated in the judgment. "All that has yet to be decided," Boyd said, adding that if the court agrees the case is moot, it gets dismissed back to the 4th Court of Appeals on the issues Pozza described. Pozza said the City should prevail across the board if the petition is moot. Kastely argued the case should be sent back to the trial court because it still has fact finding work to do. The trial court should not be precluded from determining whether the land transfer was in violation of the judgment and should be rescinded. “A transfer in violation of the judgement has to be rescinded,” she said. “What they (the City) do next is up to them, but we’re entitled to have a hearing on our motion to show cause,” she said.